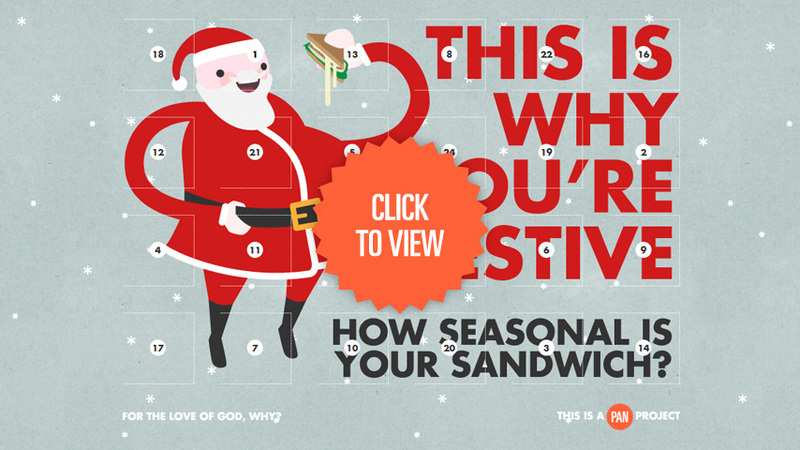 Over December 2011 and 2012 we launched This Is Why You’re Festive, and The Santa Scores advent calendars that explored christmas themes and attempted to find a language with which to review their festive qualities. “…For the grown adult sans offspring, the wonder and nostalgia of a childhood Christmas really only lives on through the tastes, sights and smells of a decent Christmas Dinner – a magical combination of sausages wrapped in bacon, cheese wrapped in bacon, roasties, sprouts and turkey. 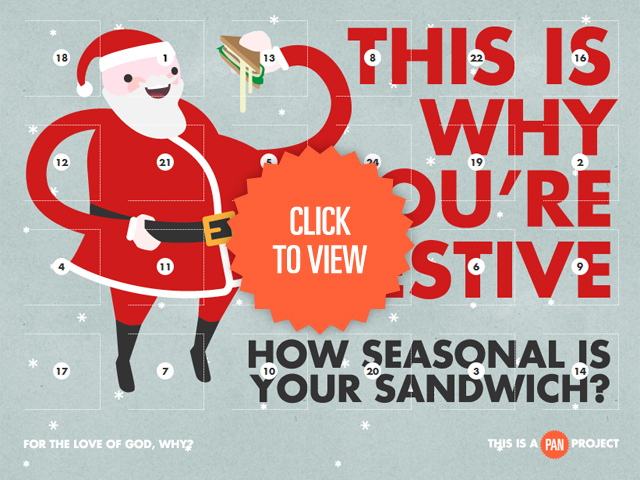 Many supermarkets, coffee franchises and fast food establishments have cottoned on to this gustatory link to the past and have attempted to commodify it, portioning out festive joy in the form of pre-packaged, mayonnaise saturated turkey sandwiches. 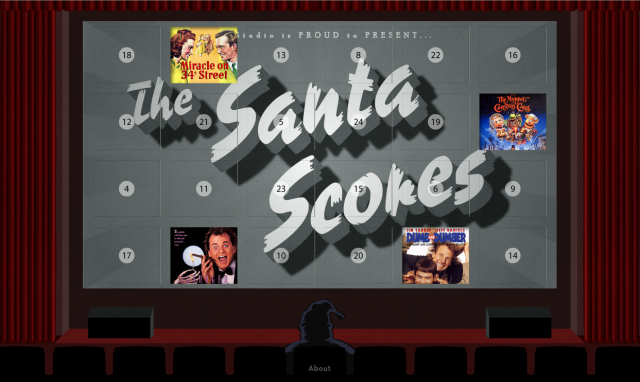 We took the same exploratory approach for our subsequent film reviews advent calendar, The Santa Scores.